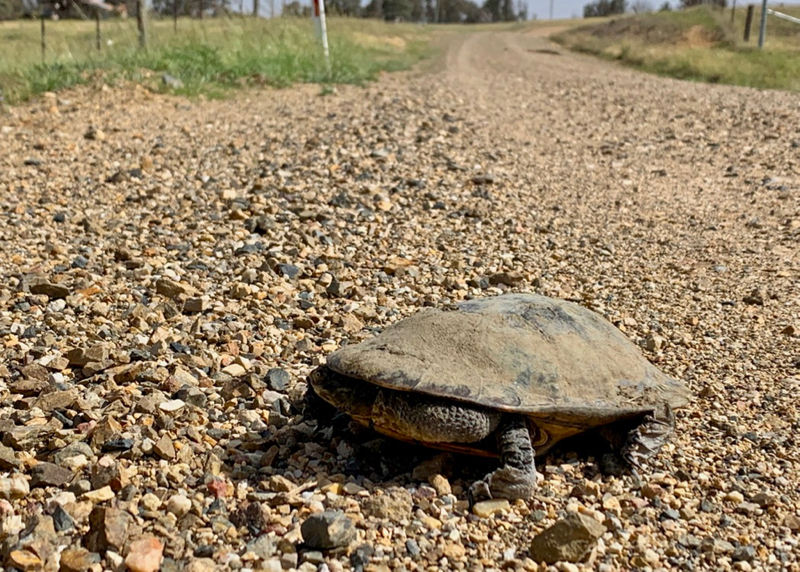 Another turtle sitting on the road – and removed to an adjacent paddock. Take note: If picking up a turtle to move it out of harm’s way, hold it at arms length from your body as they tend to urinate as a defense mechanism. Thankfully I already knew this.